Learn specific properties of watercolour painting. Oh and don't forget that you will also have the opportunity to drink wine. This is a 2 hour workshop aimed at complete beginners or those who have some drawing and painting experience. 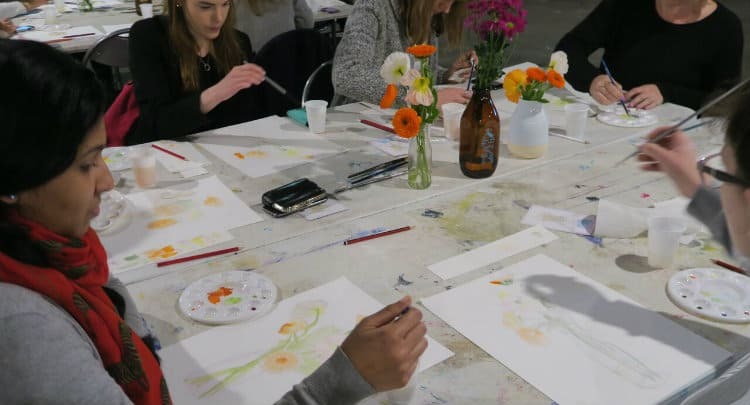 The class will teach you the practical skills and techniques used in watercolour painting, whether you want to use this medium for illustrative work, typography or fine art painting. You will learn about the specific properties of watercolour paint, and develop practical skills and techniques in paint application, brush-work, colour mixing, rendering light and shade, tonal value, and design in watercolour painting. 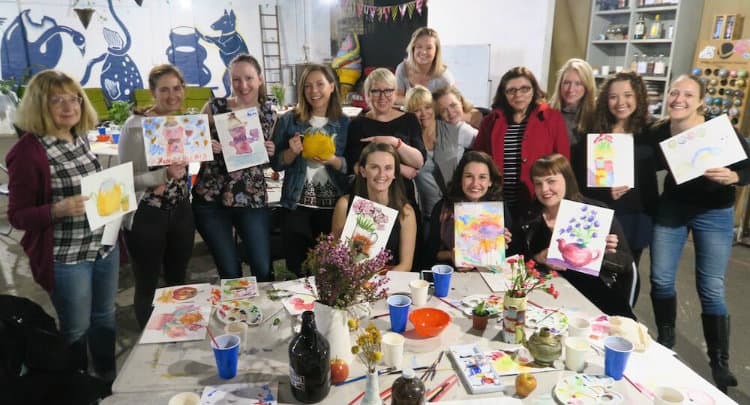 By the end of the class, you will have completed one of your own watercolour paintings, and be able to take their new skills to continue developing in their own style, in this particular medium. Photos, objects, magazines and other sources of inspiration. Our space is at a crafty den with art murals all over the walls, hanging plants, funky seats and neon signs- you'll be in your creative dream. 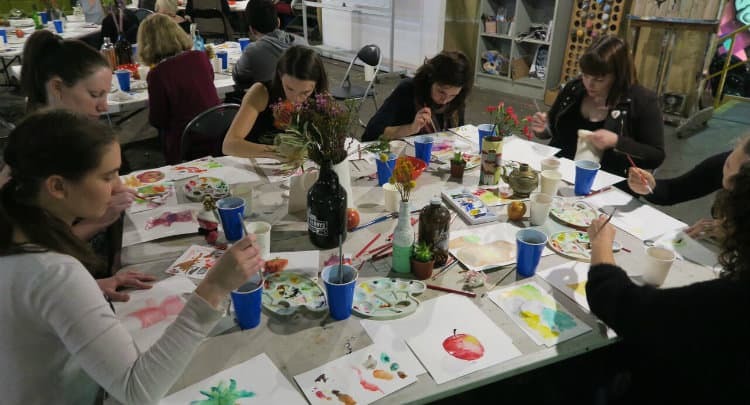 What happens during the Wine and Watercolours team building activity? 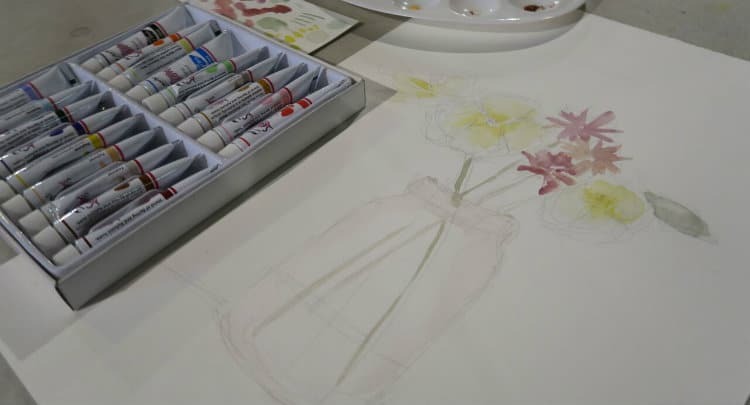 You will learn about the specific properties of watercolour paint, and develop practical skills and techniques in paint application, brush-work, colour mixing, rendering light and shade, tonal value, and design in watercolour painting. Oh and don't forget that you will also have the opportunity to drink wine!